Hello, dear friends! 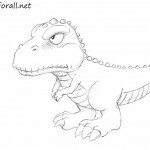 Welcome to drawingforall.net. 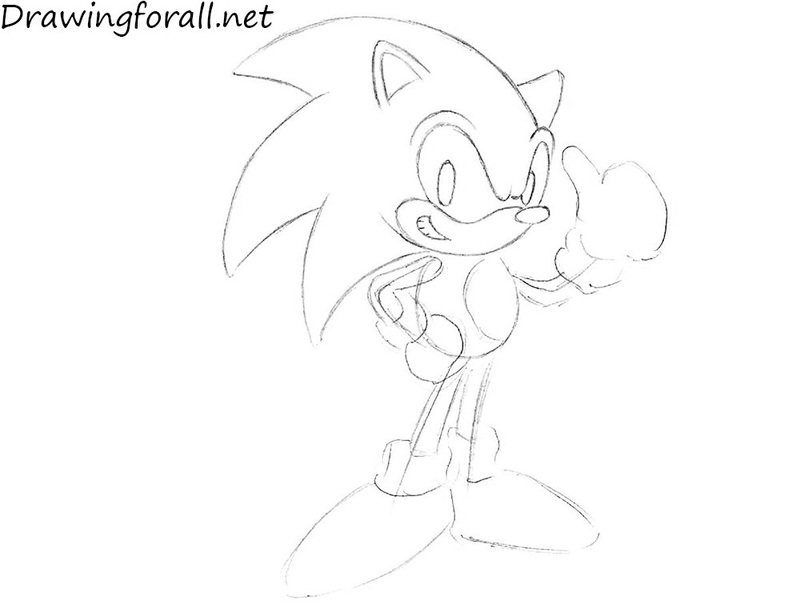 Today we will tell you how to draw one of the most popular videogame characters – Sonic the Hedgehog. 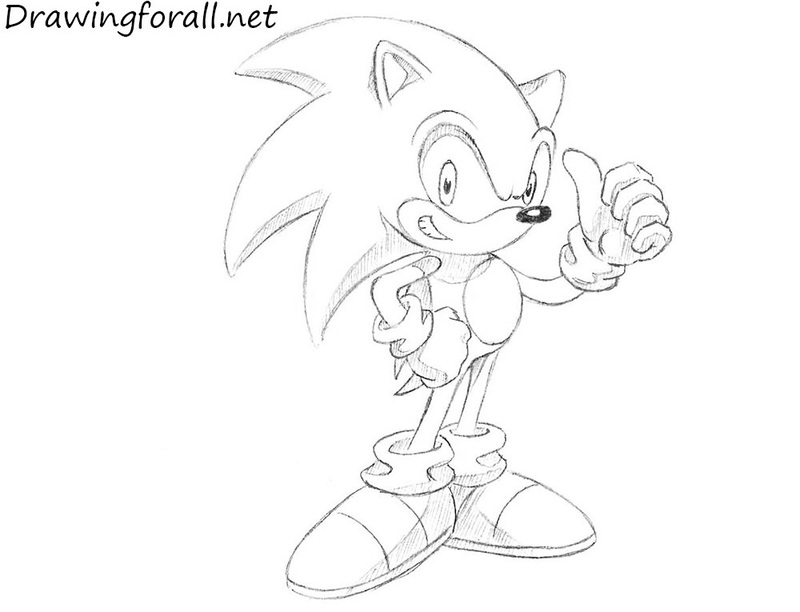 Sonic first appeared in 1991 and has remained popular ever since. 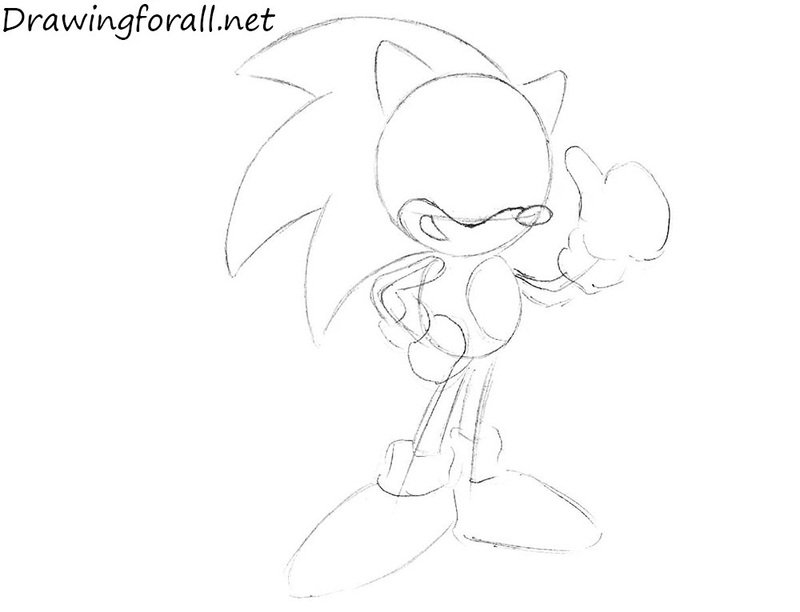 So, let’s start the tutorial and learn how to draw Sonic the Hedgehog! 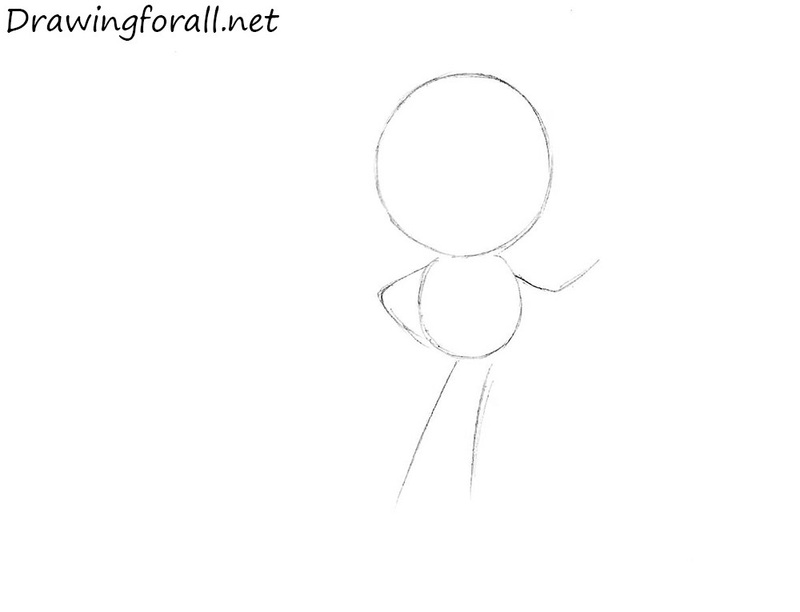 First things first we need to draw a stickman. Using a circle draw a shape of the head. Right under the first circle draw another one, but a little smaller. 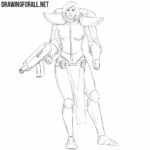 Using lines draw guidelines for hands and legs. Use light and smooth lines for the first stages. Using triangles sketch out ears. Using three long curved triangles draw hair (we believe, that it’s some kind of needles). 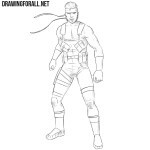 Using a curved line draw the line of eyes. 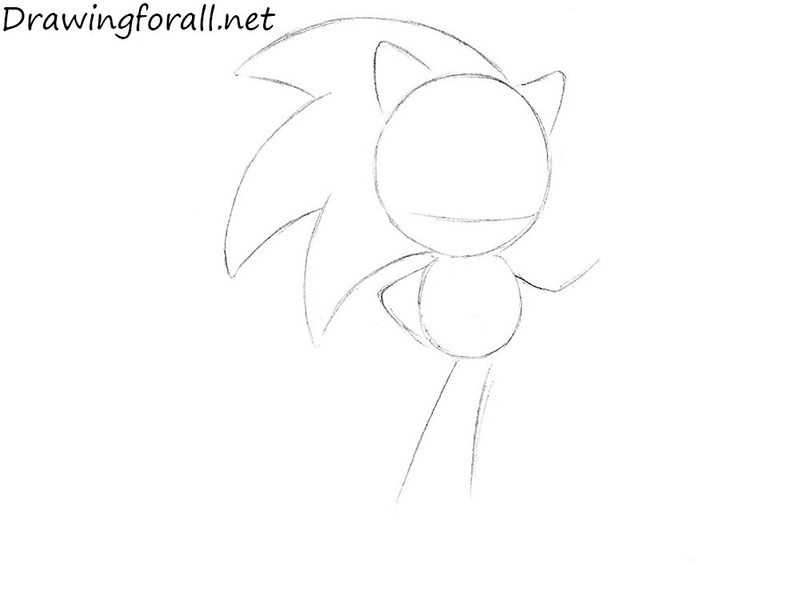 At this step we add volume to the body of Sonic. Using curved cylinders draw hands and legs. 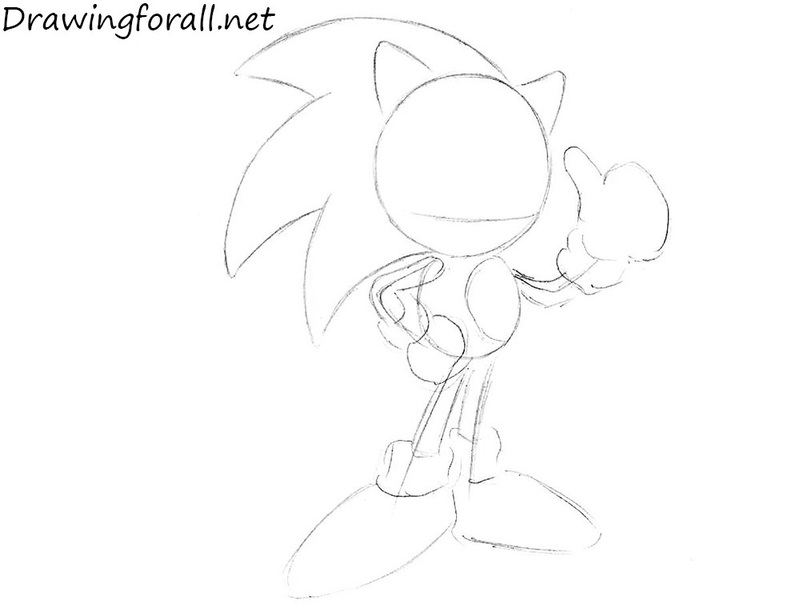 Using circles draw fists and using ovals draw feet. 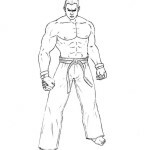 Note, that fists and feet are very disproportionate. 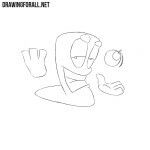 Using the line from the second step draw the mouth and nose and move to the next step. Now we draw the eyes. Using the shape of letter “M” draw the eyebrows. Using ovals draw pupils. 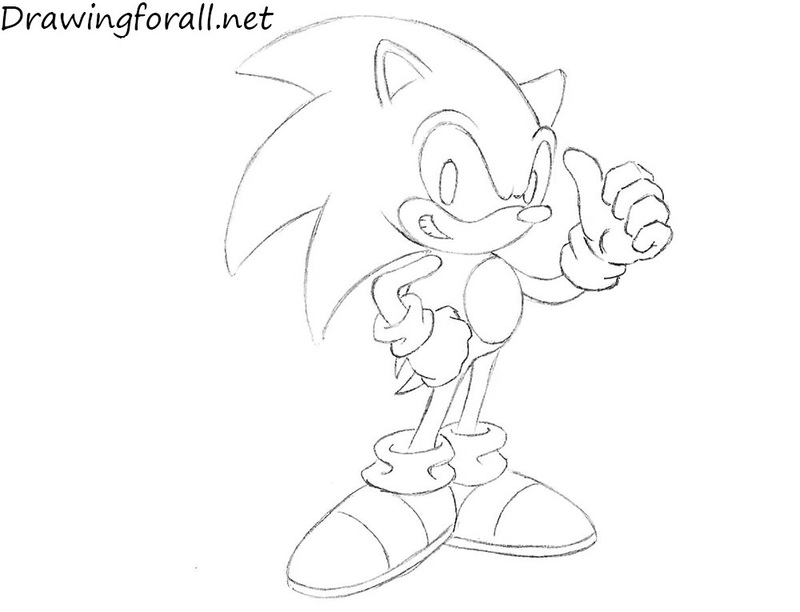 Note, that the eyes are not separated (i.e in fact Sonic has one big eye). Don’t forget to erase the guidelines from the head. Darken the lines of the hands and torso. Draw fingers as in our example. Erase the guidelines and draw the circle on the belly. Darken the lines of the legs. Draw socks and lines on the shoes. Erase all the remaining guidelines. 2. Add hatching inside the contours. It was drawing tutorial about how to draw Sonic the Hedgehog. We hope you enjoyed this tutorial. Subscribe to us in all social networks to keep track of updates. Goodbye!